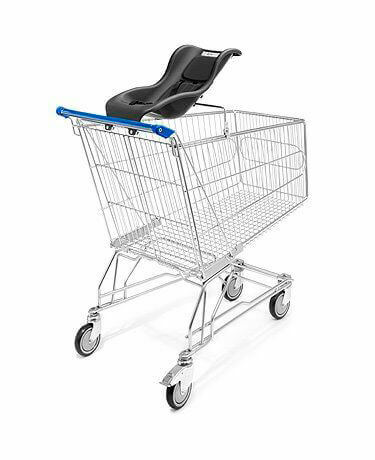 This family trolley option has a raised solid seat with 3-point harness for the security of the infant. 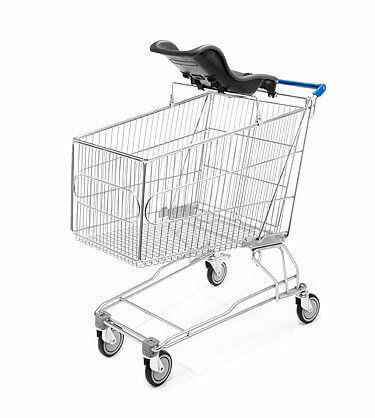 They are used only by babies not yet sitting up safely enough to go in a standard trolley flip-out seat and are extremely popular with families. We fit the raised plastic moulded baby-seats to our new Marsanz trolleys in the UK. It is not the standard Marsanz raised baby-seat which is a cushioned version, we felt that this option offered the same but was easier to keep clean and dry, if you prefer the Marsanz option we can supply these also.